Laughter shall fuel the spirit’s engine. Kyoto. Nice hotel room. More like an apartment. Could not figure out how to work the overhead light. Little reading lights by each bed. Found what looked like an upright card reader where a light switch would be. Stuck my room key in, light came on, pulled my key out. A minute later the light went out. Rinse, repeat, about three times. Called front desk. Explained problem. They were puzzled. Sent a guy to check. He put my key card in the slot. Light came on. He didn’t see any problem. Why? HE LEFT THE KEY CARD IN THE KEY READER. That was the secret! Once I removed the key, as I would if I was leaving the room, then the lights would automatically turn off about a minute after I’d left the room. I have rarely felt like such a total bonehead. Tomorrow John and I will fly down to Los Angeles and spend a few days enjoying the wonders of Universal Studios Hollywood. John has been talking about seeing Universal Studios ever since he first heard about it many years ago. Chris and I decided that a trip to this previously unexplored land of movie magic makes the perfect graduation gift for our boy. John and I have studied the map. We’ve discussed what we each want to see the most. Today we’ve been packing our bags. Tomorrow we take our first plane trip together. I’m pretty sure what John is looking forward to the most is The Wizarding World of Harry Potter. Me, I’m looking forward to the air conditioning on the plane, at the hotel, and on many of the rides. I’m not a big fan of heat, preferring autumn and winter to summer. I suppose this is an indicator of my advancing years. Insane roller coasters are great, but they lost their appeal for me after I reached my late twenties. Even so, I can’t wait to watch the Special Effects Show with John, to get silly in the Despicable Me Minion Mayhem area, and probably scream at least once on the Jurassic Park ride. Best of all, I finally get to drink butter beer and hang out at Ollivander’s where Harry Potter’s wand chose him! My grandfather worked in the movies. My mother has appeared as an extra in several. I did some writing for the movies, once upon a time. And now my son loves movies just as much as the previous generations in our family have. Watch for my trip report once we’re home again! There were a few moments during the trip that stand out as particularly memorable. Turning on the lights in our hotel room. There was no main switch just inside the door. We did find the switch for the bathroom (located on the wall outside the bathroom, which is just asking for pranks and accidents). There were small reading lights at the head of each bed, along with a table lamp and a floor lamp. How did we turn them on? There was a slot on the wall in the entryway similar to a credit card reader, only this was vertical. I put my room key in the slot, then pulled it out again. Voila! Light! Two minutes later the lights went out. We went through this twice more, trying to figure this out with brains that had long since turned to cottage cheese. I called down to the desk for help and told them the lights wouldn’t stay on. They sent a man from Maintenance, who had me show him what I’d been doing. I had the process half-right. To keep the lights on, one leaves the key in the slot. So every time Pat and I left the room on an outing, we’d check to see who had a key in hand and who had put hers in the light “switch.” This resulted in dialogue that would have done Abbot and Costello proud! The taxi drivers. I love Japanese taxis. The lace antimacassars on the seats, the white gloves, the automatic passenger door…. Sometimes the drivers were quite formal, and that’s fine. Other times we’d get a driver who was happy to have a chance to practice his English, or maybe he just thought Pat and I were entertaining. (Can’t imagine why anybody would think that! One driver said, “English is just three words. I love you. I miss you.” My cynical sense of humor kicked in and I told him, “You’re missing one. ‘I want money. '” Fortunately, we were at a stoplight right then. The driver burst out laughing. He mimed writing something down, saying, “I must take notes.” That made us all start laughing again. On our way back to the hotel from Kiyomizu-dera, we had a driver who wanted to be friendly, but as is often the case, he was nervous about speaking English. He had the radio on, playing classic rock. That was a welcome glimpse of home. Once I said, “American rock ‘n’ roll!” that broke the ice. By then Pat was speaking enough Japanese to get into the conversation as well. The driver revealed his secret stash of chocolates and gave each of us one. Music and chocolate are the perfect ways to go from strangers to friends. At the smaller gift shop inside the grounds of the Imperial Palace, Pat and I got into conversation with Yuki, the lady behind the counter. She was surprised by how much polite Japanese we could both manage. When we explained our purpose in Kyoto as doing research for our writing, she thought that was quite exciting. Before we left, she brought out two little packets of those sugar star candies like the ones Chihiro feeds to the dust sprites in Spirited Away. She insisted on giving them to us. That was a lovely surprise! The weather was so mild at the start of our stay I didn’t need my jacket day or night. As the end of October closed in, the nights got colder. In Kyoto Station one night, everybody else had begun to bundle up and there I was. As I came up to the escalator going down, I made way for the older lady ahead of me with a polite, “Dozo.” It was a long escalator. The lady turned around and said, “Are you cold?” Her tone of voice was like my mother’s just before she’d tell me to put on a sweater. This came out of the blue, so I was glad to be able to answer in English. “Outside, yes. Inside, no.” The lady nodded and faced front again. As we neared the bottom, she turned and wished me a good trip. The whole thing was rather endearing. Miss Kinjo is from Okinawa. That gave me a perfect opportunity to ask her about the kijimuna, the “little people” of Okinawa. They’re on the large side for little people, being about as tall as a seven year old child. Flaming red hair makes them unique among Japanese folkloric creatures. All they wear is a garment like a fundoshi made out of leaves. Kijimuna are tricksters. They can be helpful when they want to be, and you’d better not offend them. Miss Kinjo said her grandmother had told her stories about what the kijimuna had done when her grandmother was a little girl. With Halloween right around the corner, I was curious to see how Japan handled that holiday. I saw decorations and party goods and some costume supplies. The Japanese kids don’t go trick-or-treating the way we do in America. The idea of dressing up as monsters to go door to door demanding candy under threat of “tricks” might strike the Shinto mind as the basis for a Takashi Miike movie! Ladies and gentlemen, I am about to accomplish the Number One item on my Bucket List. Tomorrow morning I depart for a solid week in Kyoto, Japan. My husband is a kind and generous man. I complain about him, I tease him by referring to him as The Spousal Unit, but I have to say he gives me the best gifts. Chris says that because I was willing to spend two months living in the hospital with Michael, because I cancelled my plans to attend Sasquan, the World Science Fiction Convention, and because I made life easier on everybody here at home who kept up our normal routine, I deserved something special. So he decided to make my dream come true. What’s more, I get to take my best friend Pat with me. 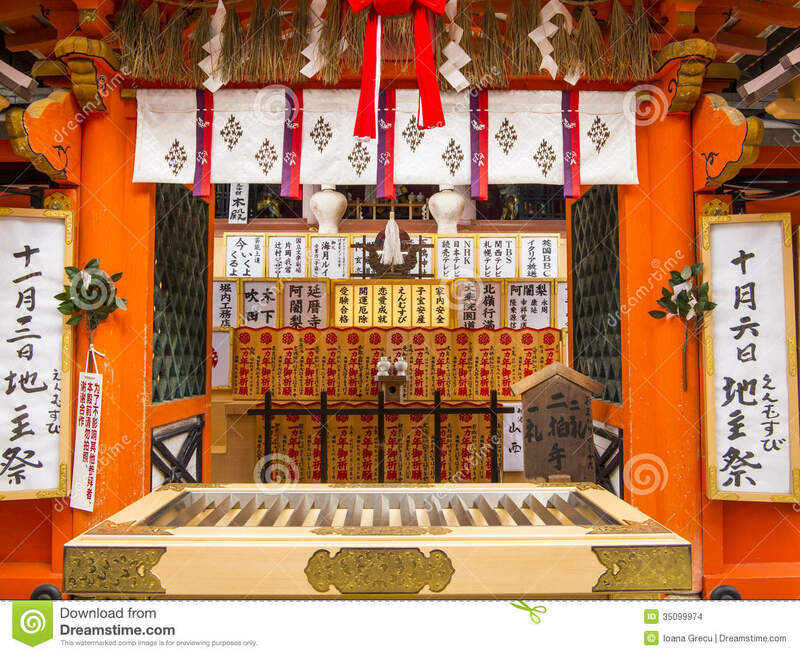 Kyoto is the location for the third book in my Flower Maiden Saga. I’ve already done a lot of research, but nothing could be better than being right there in one of the greatest cities on earth, a city that has stood for over a thousand years. And it’s time for the maple leaves to turn color! The temple gardens will be absolutely gorgeous! Kyoto is also the city where in the Heian Period a lady known as Murasaki Shikibu wrote the world’s first novel, The Tale of Genji. That makes this trip something of an artistic pilgrimage to the place where the world’s first novel was written by a woman, a lady of the court whose name continues to be known and respected more than ten centuries later. My steampunk stories featuring Dr. Harrington and his family center around Kiyomizudera, the Pure Water Temple. The climax of my historical espionage story “Tea & Trickery” (in AlternaTEAs, forthcoming from Sky Warrior Books) takes place aboard a steam train that departs from Kyoto. I can’t wait to walk the streets my characters walk, and to stand in the places where their stories unfold. I probably won’t be online much. There’s a whole lot to see in Kyoto! Pat and I will be out there walking through the city, riding the trains, and sharing what may well be our greatest adventure yet!